Riley's poem sings in a celebration of nature and life and the joys of fall with a visual accompaniment following a young girl waking into a farm morning, doing chores, and playing in the beginning of a beautiful autumn day. "The Hoosier poet's classic lines are successfully revived in this fresh, crisp book…. 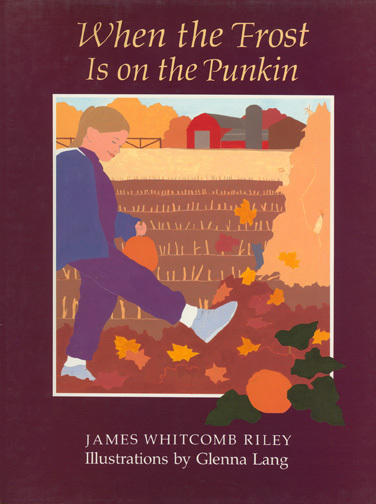 A cheerful introduction to the fall season for primary classrooms, the book will also serve older children and adults interested in the study of Americana." "The Hoosier poet's classic ode to autumn, fresh as fiddle music and accompanied by resplendent watercolors."